The cosmic journey continues in February with a Solar Eclipse in Pisces. Eclipses temporarily disrupt the normal pattern of moon cycles and can create similar disruption collectively and individually. These cosmic spotlights illuminate our journey through life and reorient us on our path of soul growth; often stimulating significant change to habitual and comfortable behaviours (south node) as we reach towards the challenges inherent in our north node. They act like portals, allowing us access to information from other dimensions and assisting us in moving forward on our path of destiny. During a solar eclipse the Sun, associated with the solar principles of light, yang, and consciousness, is wholly or partially obscured by the Moon, symbolising yin, unconscious and receptive energies. Solar eclipses are like super charged new moons where the veils between dimensions are thinner due to the altered electromagnetic field of the earth. Pisces energy brings themes of devotion, forgiveness, magic, mysticism, creativity, spirituality, acceptance and retreat to the fore. Subtle energies are heightened – be especially aware of your dream state and intuitive perceptions during this time. Heightened intuition inspires us to visualise our dreams, surrender to divine intelligence and merge with altered states of consciousness – to lose our sense of self as separate and dissolve into cosmic oneness. This eclipse is conjunct the south node of the moon indicating that parts of our collective or individual past need to be surrendered before a new beginning can be activated. Strong firey energy is also highlighted; indicating fast paced developments, excitement, pioneering inspiration, new ideas as well as instability, impatience and impulsiveness. Combined with watery Pisces, the spiritual warrior within is awakened. We may be prone to confusion, misjudgement and recklessness so it’s important to practice grounding and “sanity” checking during this energetically charged period. 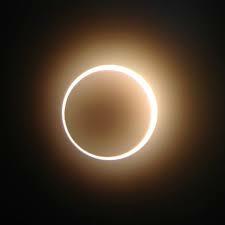 The Solar Eclipse occurs at 8 deg 12’ of Pisces at 1.58 am AEDT on 27 February.